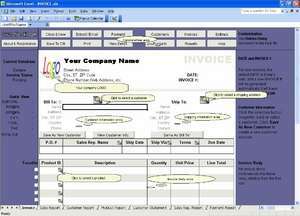 This is a billing software based on Excel invoice templates and databases. This edition of the billing software supports unlimited number of companies and networking, as well as custom fields that allow the billing software to create invoices with any number of columns and fields. Because the billing software is based on Excel invoice templates, you can easily customize it by dragging and dropping. For security reasons, you should also check out the Excel Invoice Manager Enterprise download at LO4D.com which includes virus and malware tests. Additional screenshots of this application download may be available, too. Excel Invoice Manager Enterprise has a presence on social networks.